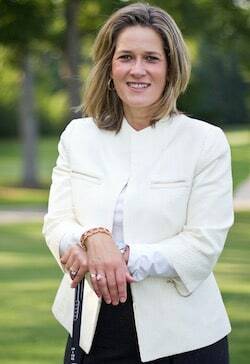 Robin Frazer Clark is the owner and founder of the law firm of Robin Frazer Clark, P.C. Ms. Clark has practiced law for thirty years in Atlanta, Georgia, all as a trial lawyer in personal injury cases. Prior to this firm she was a partner in Clark Goldner, P.C. from 2004-2006 and a partner in Jewett and Clark, LLC from 1997-2004. Ms. Clark devotes one-hundred percent of her practice exclusively to representing everyday Americans who have been injured by the carelessness of others. This includes personal injury and employment matters, automobile wrecks, tractor-trailer wrecks, premises safety, elevator and escalator cases, products safety (including defective automobile manufacture), medical malpractice and sexual harassment cases. Ms. Clark was recently invited and inducted into the International Society of Barristers. She is a Past President of the Georgia Trial Lawyers Association (GTLA) and previously served as President-Elect, Vice-President, Secretary, Treasurer, Parliamentarian and Education Committee Co-Chair of GTLA. She served on the Editorial Board of The Verdict and was elected to membership in the American Board of Trial Advocates (ABOTA). Ms. Clark was also on the Board of Governors for the State Bar of Georgia for Atlanta Circuit Post No. 36. She is a Past President of the State Bar of Georgia and a member of the Atlanta Bar Association, in which she is a Past Chair of the Litigation Section. She is a Member of the General Practice and Trial Section of the State Bar of Georgia. She is also a member of the American Association for Justice (formerly, the Association of Trial Lawyers of America) and a member of the Executive Committee of The Lawyers Club of Atlanta. Ms. Clark is a Fellow of The Lawyers Foundation of Georgia. Ms. Clark received her Bachelor of Science in Biology from Vanderbilt University in 1985 and received her Juris Doctor from Emory University School of Law in 1988. Ms. Clark is the author of numerous published articles, including "Trial Practice Corner: Avoid the IRS on Confidentiality Provisions, Verdict Magazine, Fall 2005; "There You Go Again: Other Similar Incidents in Medical Malpractice Cases (A Case Study of Bean v. Northeast Georgia Medical Center)," The Verdict, Fall/Winter 2004, "Essential Tools for Overcoming Trial Fear," Trial Excellence, Advanced Trial Tactics for Attorneys, May 2001, "Closing Argument Tips: Compensatory and Punitive Damages," Trial Excellence, Tactics, Legal Updates & Samples, September 2001 and Exceptions to Preferential Transfers: Closing the Hunting Season with Section 547 (c), 4 BANKR. DEV. J. 149 (1987), Bankruptcy Developments Journal, Southeastern Bankruptcy Law Institute / Emory University School of Law. Ms. Clark is admitted to the State and Superior Courts of Georgia, the Georgia Court of Appeals, the Georgia Supreme Court, the United States District Court for the Northern and Middle Districts, the United States Court of Appeals for the Eleventh Circuit and the United States Supreme Court. Ms. Clark has tried over 75 trials, the majority of which were solo trials, in the last twenty-nine years. Ms. Clark has advocated before Georgia Appellate Courts over 30 times. Ms. Clark has given numerous speeches for the Institute of Continuing Legal Education of Georgia and for the Georgia Trial Lawyers Association and has appeared on "The Layman's Lawyer" on Atlanta Public Television on the issue of products liability and has appeared on "Leyes Cotidianas," or Everyday Law, on Georgia Public Television on the issue of changes to the Georgia Civil Justice System. Ms. Clark has served as volunteer counsel for The Carter Center program "Not Even One Child's Death by a Firearm is Acceptable or Inevitable," the Georgia Council for the Hearing Impaired and the Atlanta Bar Foundation's Truancy Intervention Project. Ms. Clark is married to William T. Clark, Director of Political and Public Relations for Georgia Trial Lawyers Association. They have two children, Chastain, age 22, and Alexandria, age 20. Ms. Clark was a member of Saint Mark United Methodist Church for 19 years, where she served as Vice Chair of the Administrative Council. She now is a member of Glenn Memorial United Methodist Church, where she heads the Rainbow Advocacy Committee with her husband. Ms. Clark is an avid golfer, carrying a 19 handicap. Read The Young Lawyers Division Review in which Robin Frazer Clark was highlighted for being on the first place team in the Annual Golf Tournament. "Onward and Upward, New Initiatives at GTLA" Georgia Trial Lawyers Association Auto Torts Seminar, Saint Simon's Island, Georgia, August 11, 2006. "Trial Practice Pointers," Enhanced Bridge the Gap Seminar, March 1, 2006, September 12, 2007, Georgia State Bar Headquarters, Atlanta, Georgia. "Keeping up With The New Gems from Georgia Appellate Courts," Institute of Continuing Education in Georgia's Georgia Personal Injury Practice, October 28, 2005, Lawrenceville, Georgia. "The Use of Daubert in Car, Truck and Tire Cases Under the New Georgia Statute," Georgia Trial Lawyers Association's Fall Workshop, Chateau Elan, October 14-15, 2005, Braselton, Georgia. "She's Not Just a Pretty Face~Georgia Trial Lawyers Association Women's Motivational Summit," Chairperson and Moderator, 2004, 2005. "Negotiating from a Strong Position," Atlanta Legal Aid Society Training, May 10, 2005, Callaway Gardens, Pine Mountain, Georgia. Chairperson: "The Jury Summit," The Atlanta Bar Association and The Litigation Section of the Atlanta Bar, Sheraton Midtown Atlanta Hotel at Colony Square, March 22, 2005, Atlanta, Georgia. "CLE by the Hour: Mining for Legal Nuggets-Opening Statements: Drilling the Shaft," Atlanta Bar Association, Bank of America Plaza, December 9, 2004, Atlanta, Georgia. "The Virtual Focus Group: Deliberations in Cyberspace," Georgia Trial Lawyers Association 2004 Fall Workshop, Callaway Gardens Resort, October 21 & 22, 2004, Pine Mountain, Georgia. "Opening Statements: Drilling the Shaft," Atlanta Bar Association Lunch & Learn CLE Series, Atlanta Bar Association Headquarters, October 8, 2004, Atlanta, Georgia. "Stages of Reality: Theater in the Courtroom," Chair, Georgia Trial Lawyers Association, Sheraton Colony Square, August 24, 2004, Atlanta, Georgia. "Opening and Closing Argument: A Sample of the Best," 33rd Annual Labor & Employment Law Institute, Institute of Continuing Legal Education in Georgia, Buckhead Sheraton Hotel, December 19, 2003, Atlanta, Georgia. "Voir Dire Tips" and APrior Similar Incidents in Medical Malpractice Cases," Georgia Trial Lawyers Association Fall Workshop, Calloway Gardens, October 16-17, 2003, Pine Mountain, Georgia. Panelist, AProfessional and Ethical Dilemmas in Litigation," Institute of Continuing Legal Education in Georgia, Marriott Gwinnett Place, October 31, 2002, Atlanta, Georgia. Appearance on "Leyes Cotidianas," or Everyday Law, on Georgia Public Television on the issue of recent changes to the Georgia Civil Justice System.